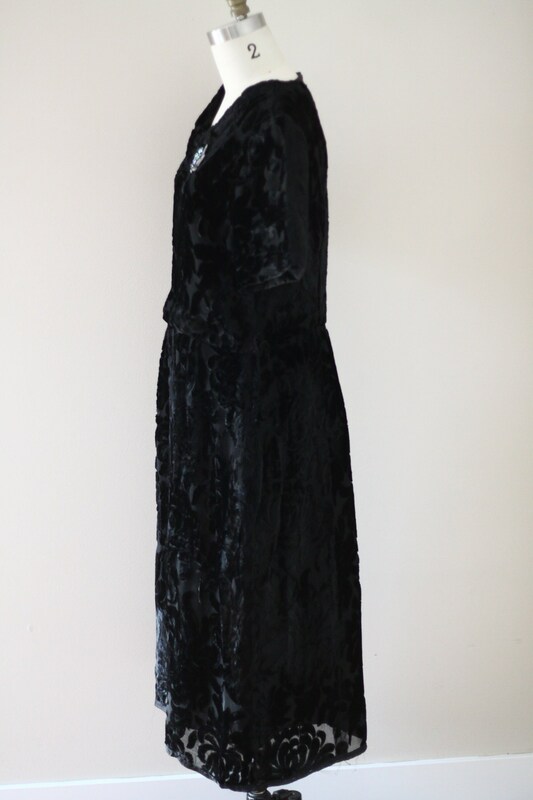 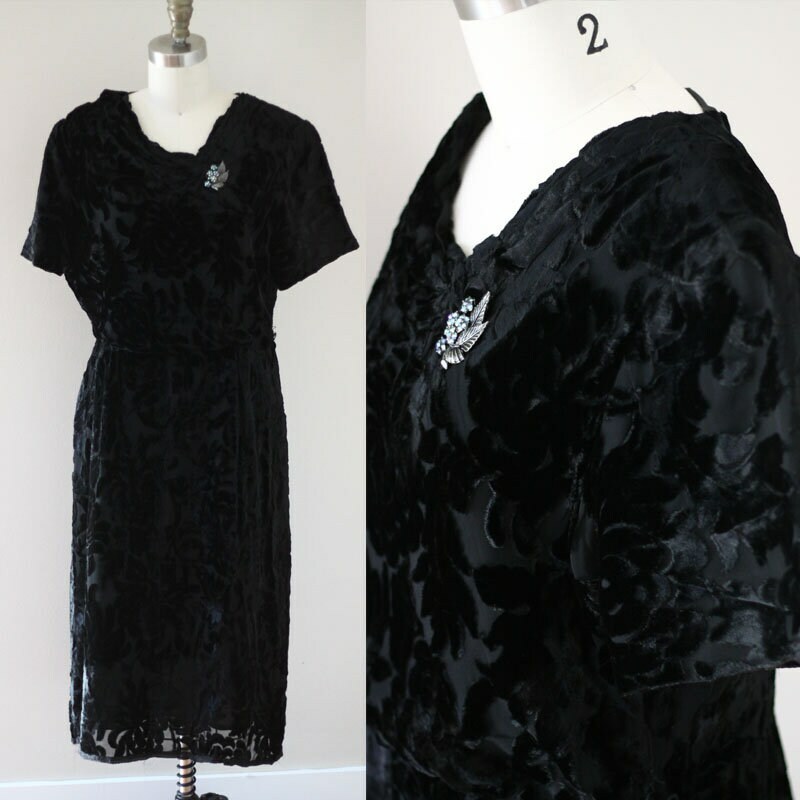 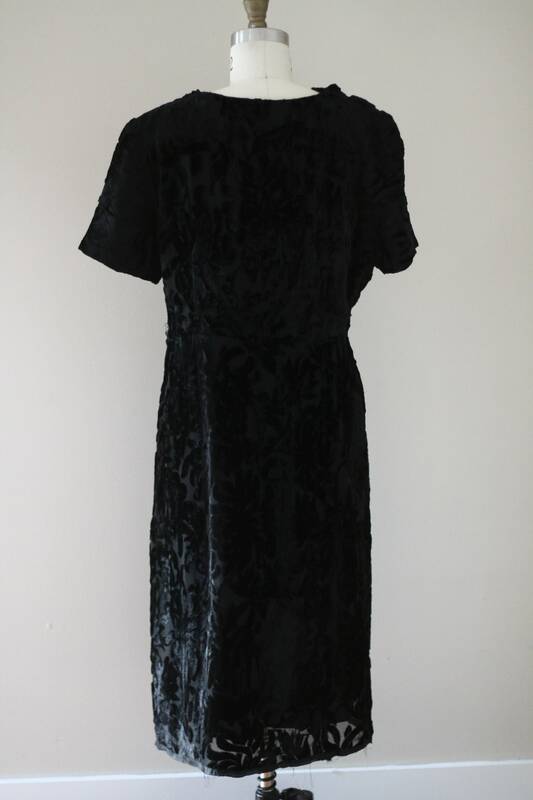 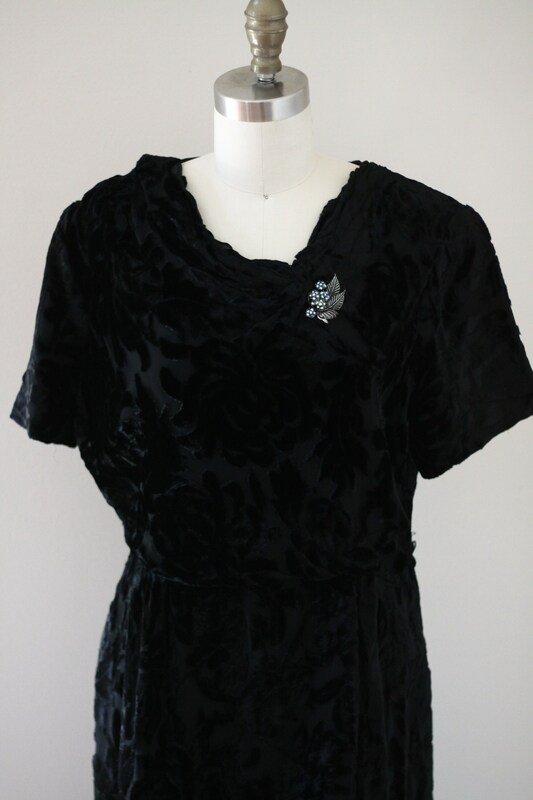 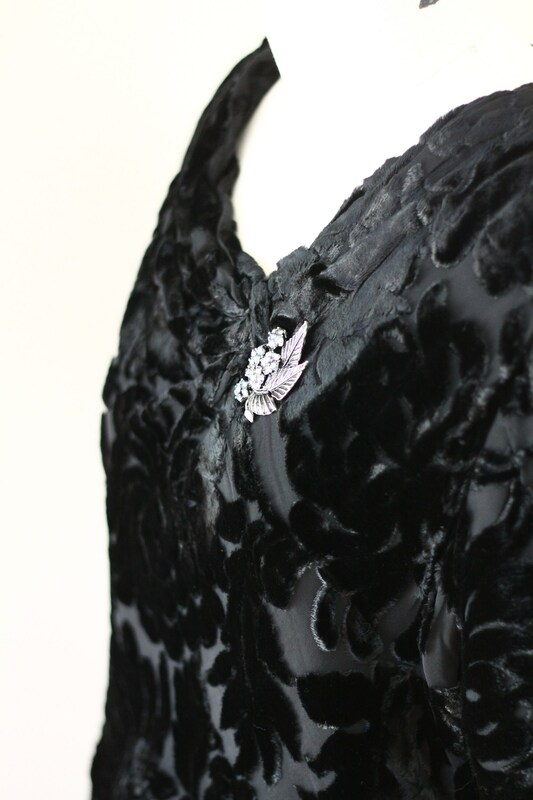 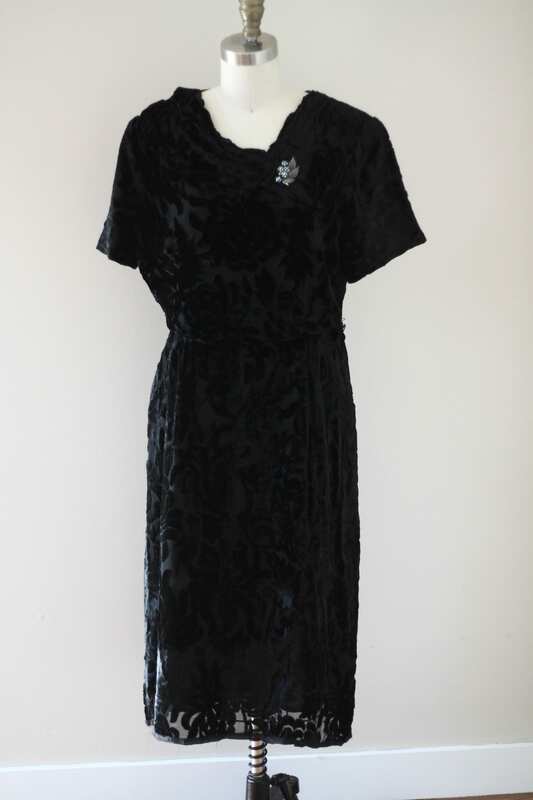 1950s black burnout velvet sheath dress with short sleeves. 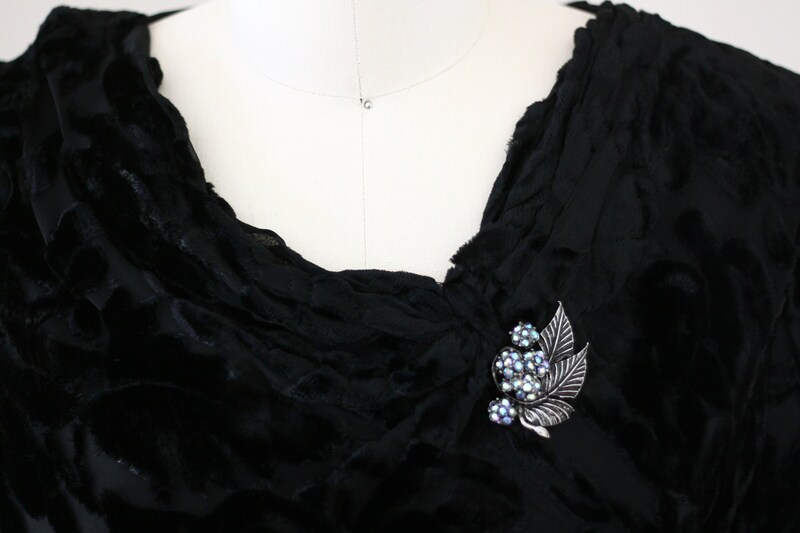 Sweeping scoop neckline with additional fabric detail and a rhinestone brooch adorning the front. 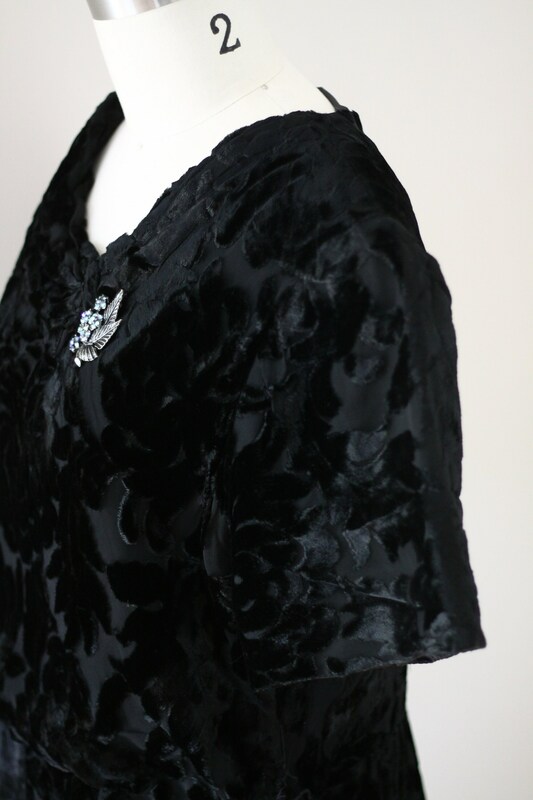 Subtle side zipper for closure.